Desserts on a stick may be the cupcakes of 2012. There’s no doubt that people still love their cupcakes, but recently many pastry chefs are popping out edible sweet pops that also delight diners. Cakes on a stick, skewered doughnut holes and pie pops are typically round and bite sized so they are inexpensive to produce. Many of these treats are based on fun retro classics but the real genius behind these baked items is portability. For example, Justin Huleatt, pastry chef for Restaurant Associates at one of the company’s accounts in New York, prepares a pomegranate pie on a stick. He bakes the sticks right into mini pies that are about 2½ inches in diameter. The pies are filled with fresh-squeezed pomegranate juice and thickened with xanthan gum. The gum thickens as it cools, so the filling isn’t cooked twice. Recently, Huleatt started a more extensive housemade bakery program that is increasing interest in desserts. Throughout the foodservice industry, many directors are reporting increased sales of from-scratch baked goods. Advantages can include increased freshness, a larger variety of options and cost savings. At Redwood Shores, Calif.-based Oracle, Ian Farrell, executive pastry chef for Bon Appétit, operates a bakery open to the company’s 7,000 employees. In the bakery, Farrell makes macarons in several flavors—green tea and mint, chocolate, hazelnut, raspberry, pistachio, white chocolate and lemon curd. Other popular choices are cupcakes and cake pops. He prepares the mini versions in any cake flavor that’s currently available. Cakes change every two weeks, so there are hundreds of versions. The pops are presented on a vertical stand. Customers also can smell the just-baked cookies, since Oracle’s bakery is in an open kitchen next to the retail area. Baking beyond dessert: It’s not just sweets that are getting the new twist treatment. Artisanal breads are having their moment as well. One of Huleatt’s house-baked breads that turns heads is a cottage cheese dill roll with horseradish. It’s made with European-style butter-enriched brioche dough. Huleatt’s trick is to allow the flavors to develop and the gluten to relax overnight in the refrigerator. The cottage cheese dill bread goes well with the dishes on a comfort food station, Huleatt adds. Doughnuts were also a huge hit when pastry chef interns, who Banicki brings in annually from a local culinary school, featured a creative assortment as a project. One of the top sellers was the maple-glazed Granny Smith apple doughnut with candied bacon sprinkled on top. The move to scratch cooking has allowed Michael Rosenberger, director of food and nutrition services at the Irving Independent School District in Texas, to improve baked options. Williams College bakeshop caters to variety of customer demands. Dining Services is the most accommodating service at Williams College,” says the Williamstown, Mass.-based school’s pastry chef, Michael Menard, repeating a compliment that was published recently in Williams’ student paper. 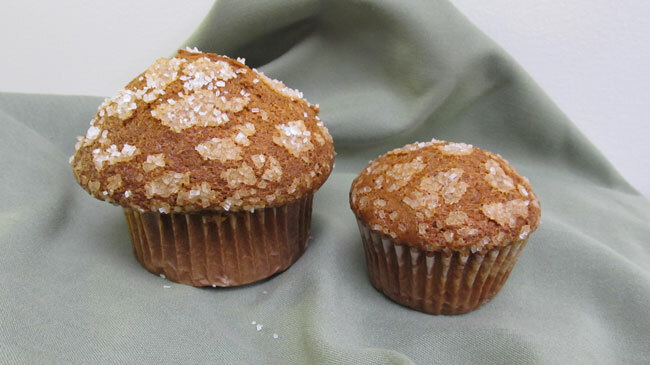 Dining Services provides its students with housemade baked goods, prepared with local ingredients when possible and often adjusted to accommodate diners with allergies. “We try to stay ahead of the curve,” says Mark Thompson, executive chef. As for students with food allergies, Thompson meets with each student who has an allergy, of which there are currently 15. He talks with students about their needs, what he provides and how the allergic student can feel more comfortable eating at Williams. He also introduces those students to chefs on duty, so students know who they can direct questions to on a daily basis. “If you have wheat intolerance, you could feel isolated,” Menard adds. 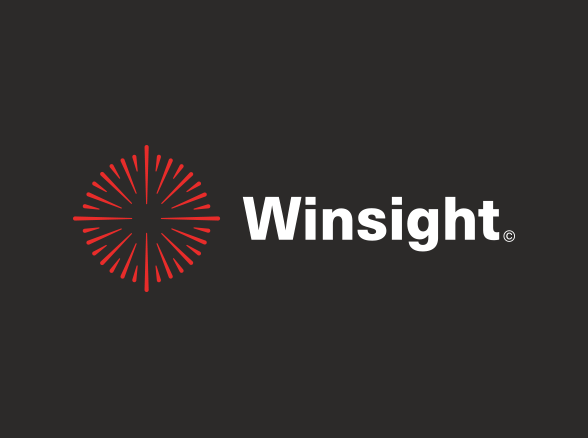 “So by offering these products you may change how people feel. “People will be getting away from wheat in the future,” the pastry chef predicts. “I think gluten is the next vegan.” So he’s working on new wheat-free recipes and currently offers gluten-free cream puffs prepared with xanthan gum and rice flour. Another customer demand Williams’ bakeshop focuses on is the use of local products. A year ago the chefs brought in local organic flour for pizza dough and more than doubled the sales of pizza compared to the version prepared with premade dough. It takes two hours per week to make the necessary amount of dough. Pizza toppings include a local buffalo-style mozzarella and sweet onions and peppers grown nearby during the growing season. Out of season, Thompson sources locally grown and frozen produce. About a year ago, when Lori Giarratana Hare, director of dining services with Health Care Services Group, started working at Locust Grove Retirement Village and Rehab Center in Mifflin Pa., one of the first changes she made was to prepare cakes from scratch with more healthful ingredients. She spoke to FSD about how she upped the health factor of her cakes. “I threw out the cake mixes. You just try to improve everything in any way you can. It helped with the budget because cake mixes are really expensive, especially the chocolate, because cocoa is expensive. But it costs less to buy the cocoa powder separately. We saved about 50% on the chocolate cake and 25% on the others. I do a lemon, chocolate, yellow, orange and rainbow cake with sprinkles. For the citrus [flavors], I use extracts. [The chocolate cake is] my own recipe. I used it when I was a personal chef. So I just multiplied the recipe out for 100 servings when I came here. I had to add a little of this and a little of that before I got the ratios right. And I played a little with the leavening. But the beauty of my recipes is that you don’t have to use any certain mixing process. Everything may be added at once. Mix all ingredients and pour into greased 17-in. x 25-in. x 2-in. pan. Bake at 350°F for about 25 mins., or until cooked through. Top with whipped cream and sprinkle with lemon zest. 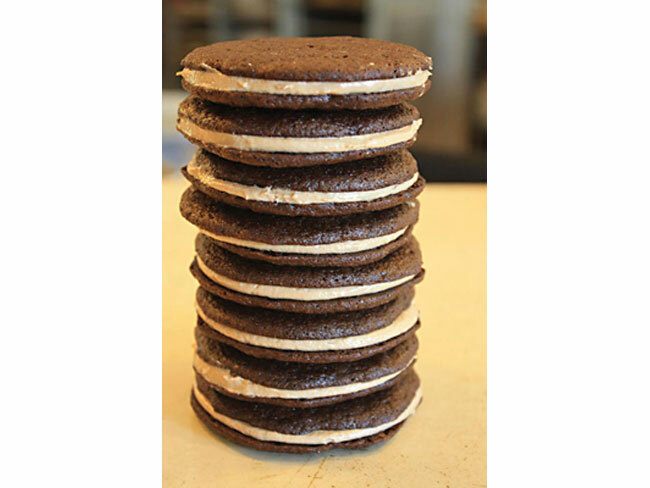 These malt cookie sandwiches are another popular treat at Oracle's bakery. 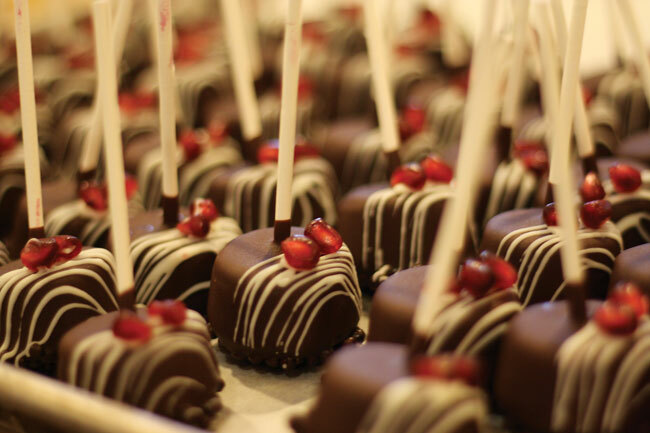 Pommegrante Cheesecake Lollipops from Restaurant Associates. 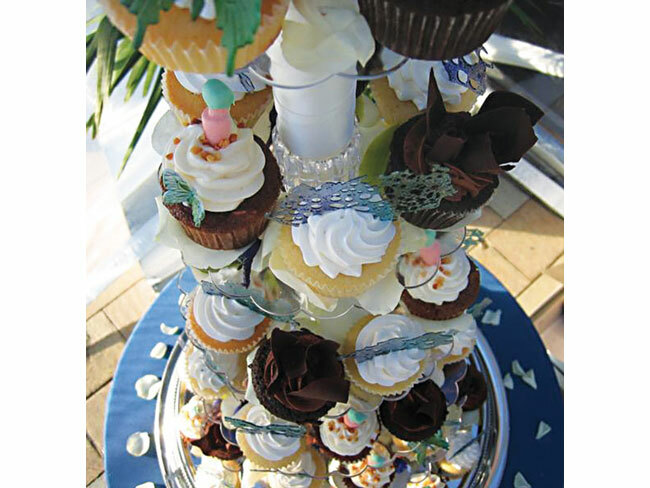 Oracle Pastry Chef Ian Farrell also makes cupcake wedding cakes for customers. 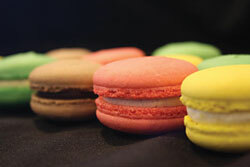 The bakery at Oracle, managed by Bon Appetit, makes these macaroons in house.